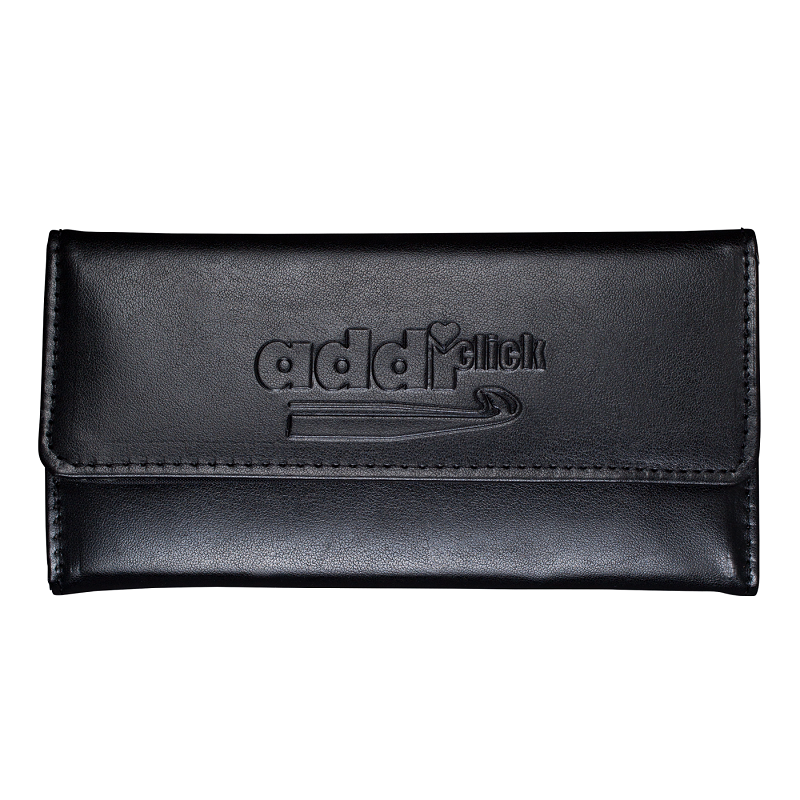 A set of 8 crochet hooks to use with ADDI Click cords, in a neat black wallet case. 6 gold metal crochet hooks and two larger glitter plastic hooks, all marked with their size. In combination you can make afghan crochet hooks of great length, useful for Tunisian crochet, picking up stitches with ease, a quick cast off or even working with a hook at one end and a needle at the other. 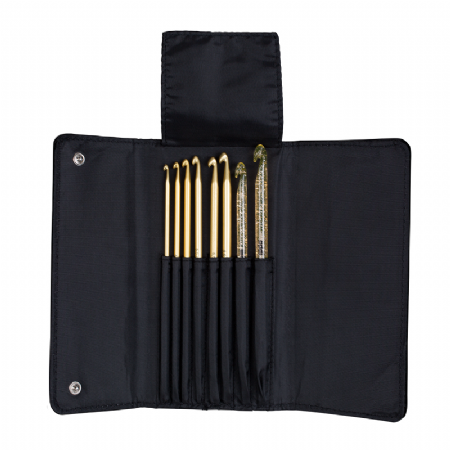 The set comprises 8 crochet hooks in sizes from 3.5mm to 8mm. Buy these hooks as an add-on to your ADDI CLICK set or combine with a set of cords to create a crochet set.